What Is Hot In Science Right Now? Trends and fashions seem to dictate everything that we do and experience in culture. After all, just look at how powerful fashion in clothing can be - when someone creates a new clothing fad, it can change the way everyone else starts to dress. You might think that these trends are only confined to a few sections of society and culture, such as music, clothing, and food. But that isn't the case In actual fact, trends are big news in almost every aspect of life - even in science and research! Research in science is largely dictated by trends too. Sure, there are some fields of research, especially in healthcare and medicine, that won’t change as we are still striving to come up with new treatments and medicines. But in other fields of science, there are a lot of trends that drive the most popular research fields. So, what exactly is hot in science right not? Read on to find out more! You will have no doubt already heard about organ transplants. This is when an organ from one body is taken out and transplanted into another body. The organ donors can be living when donating some organs, such as a kidney, but in most cases the donor is deceased. Well, have you ever heard of xenografts? If not, you need to listen up as it looks like these are set to be the next big thing. Right now, contract research organizations are looking into how xenografts can help cancer patients. These are basically cell, tissue, or organ transplants taken from a different species. The current tests are taking place on rats and mice, but this research looks set to develop soon, and it could be tested on humans before too long. If you keep up to date with news from the tech world, you might have heard about a new startup that is letting people join a waiting list to upload their consciousness to the cloud. This way, their whole consciousness will be able to, in theory, live on forever. However, there is just one problem - the whole process of preserving the consciousness is 100% fatal and isn't guaranteed to work. Regardless, there are still already a few people listed on the waiting list. There is a new branch of science interested in preserving life for the future and it is looking into whether or not we can code our consciousness and preserve is on the cloud forever. Is this really possible? It’s hard to tell right now, but there are lots of people who have faith in the science. This field of research is still in its infancy, so who knows where it will end up over the coming decades? It could be very exciting to watch! As well as trying to live forever by preserving our mind on the cloud, there are other scientists who are trying to research new anti-aging technologies. And by “anti-aging technologies” I don’t mean just applying some serums and anti-wrinkle creams to their skin, although there are of course some scientists who do look into that. Instead, there are other scientists who are looking into other more scientific-focused treatments. Many believe that the key is in our diets, and there are those who believe that an exceptionally restrictive diet can help us live for a lot longer. There are also some scientists who believe that the key to anti-aging is locked in some treatments that are traditionally used for other ailments. One example of this is the group of scientists who are convinced that the treatment usually given to diabetic patients could help others live for longer while also preventing the aging process for as long as possible. Scientists have been researching the field of nanotechs for quite some time already, but now it looks like it is all set to get very exciting indeed! Not too sure what nanotech is exactly? It’s the study of structures at their atomic level. Basically, just looking at the smallest parts of things. One of the most exciting things about nanotech is that it affects almost everything on the planet. After all, everything is made up of atoms that we can take apart and look at and study. Everything from toilet cleaner to newly discovered elements could be studied through nanotech and its exact impact on us and the world in which we live. It’s impossible to write a blog post about the current biggest science trends and not include robotics and AI. This is likely to be the biggest scientific news of the century! It is now believed that robots will soon be able to join us in the workplace and help with all manner of tasks and responsibilities. Even though basic robots have been used in factories and warehouses for some time already, it is thought that they are going to become a lot more important and more sophisticated robots will be able to take care of more important jobs in dangerous workplaces. 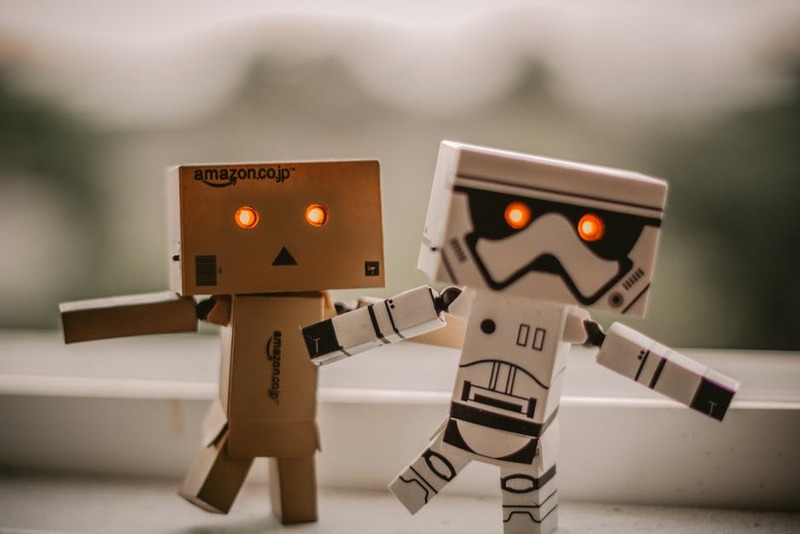 It is even thought that they will be able to take on creative tasks as well, which was once thought of as impossible as we previously thought it not possible to code creativity and imagination into robots. AI is also set to come on a long way. In fact, it could enter the mainstream a lot sooner than robotics. After all, just take a look at Tesla. Elon Musk’s famous company that is developing self-driving cars uses advanced AI in its autos. So, the next time you need to buy a new vehicle, you might want to invest in a self-driving auto. You’ll have some very sophisticated AI at your fingertips! There are always new trends and fashionable research areas that are popping up in the world of science. If you ever want to find out more, it’s worth googling some research areas to see what you can find out. There are lots of papers and news articles that break everything down so that the facts are easy for all us non-scientists to understand!